(PARK CITY, Utah) March 25, 2019 – The Summit Land Conservancy, a nonprofit dedicated to saving land in Summit County, has completed its fundraising campaign to save the 158-acre Osguthorpe Farm located in the heart of the Snyderville Basin. 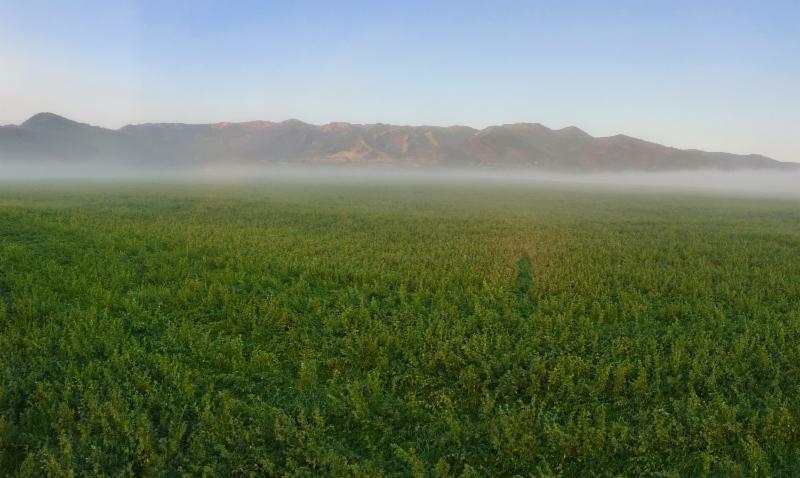 In ­­­the summer of 2017, the land trust received an $8.8 million federal grant from the Natural Resources Conservation Services (NRCS) Agricultural Conservation Easement Program; the largest grant ever awarded for farmland preservation in the state of Utah. Later that year, the Conservancy announced a $17,856,000 million agreement to preserve the heritage amenity, and began their rigorous fundraising campaign to raise $5.6 million to leverage the federal funding. Just last month, the Osguthorpe family made a second contribution of $500,000 bringing their landowner donation to $3.9 million. The Osguthorpes have a rich history of protecting Park City’s open spaces. From the “McPolin” Farmlands located along the 224-entry corridor, to the 121-acre Osguthorpe Ranch adjacent to Round Valley, the family has never sold land for development. In November 2018, Summit County approved a $500,000 grant toward Summit Land Conservancy's purchase of a conservation easement on the property. The open space funds helped support the County's plans, policies, and the public interest in maintaining the historic and rural character of the area. “The Summit County Council is pleased that the Osguthorpe family’s generosity has once again led to the conservation and protection of our declining agricultural heritage in the Snyderville Basin,” says Roger Armstrong, Summit County Council Chair. “We are pleased to contribute to that effort, and we salute the tenacious dedication of the Summit Land Conservancy, Cheryl Fox and her excellent staff, as well as those individuals and foundations that advocated, gave time and money, and fought to protect the Osguthorpe Farm." Toward this effort, the Conservancy raised over $4.5 million from more than 1100 individual donors. The land trust received gifts from local children, Park City residents, second homeowners, Old Ranch Road neighbors, family foundations and individuals from all across the country. The Conservancy hopes to close on the conservation easement next month. The property will remain in private ownership, while protecting the open views and rural natures of the Old Ranch Road neighborhood. The Osguthorpe Farm is visible from the adjacent Willow Creek Park, the ski resorts, and Round Valley. It is designated as a “Heritage Ranch” in the Snyderville Basin General Plan, and is the last ranch left standing on Old Ranch Road. If you missed the deadline to donate to the Osguthorpe Farm campaign, you can visit utahopenlands.org and make a gift to help preserve Armstrong Snow Ranch Pastures, or contribute to Summit Land Conservancy’s general conservation programs. Conservation of the Osguthorpe Farm is made possible thanks to these generous community partners: Palladium, the George S. & Delores Doré Eccles Foundation, the Miner Foundation, Swartz Foundation, the Katherine W. and Ezekiel R. Dumke Jr. Foundation, Sidney Stern Memorial Trust, SSIR Cares, United States Natural Resources Conservation Service and Summit County. The Conservancy’s Conservation Program is supported by the Park City Community Foundation and Vail EpicPromise.